HICKORY – Lenoir-Rhyne University will go for a 2-0 start in the South Atlantic Conference (SAC) men’s soccer in the next match. The Bears (2-1, 1-0) will not play, as scheduled, a league match Sunday at Tusculum because of the impact of Hurricane Florence hitting the North Carolina cost. LRU will face Mars Hill on the road on Wednesday. The Bears won their conference opener on Wednesday at home, nipping Carson-Newman 1-0 on a goal by Goncalo Garcia in the the 60th minute. Garcia scored after a feed from Ignacio de Goya, who found Garcia just outside of the box. Garcia’s shot beat the keeper to the top right. LRU had 14 shots to seven by the Eagles, a 5-2 edge in shots on goal and a 3-1 advantage in corner kicks. There were 30 fouls called, 15 on each team. 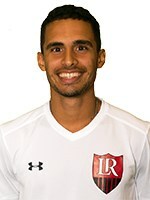 LRU junior keeper keeper Alexander Langer recorded two saves for his first career shutout. Josh Silent led the Bears with four shots, two coming in the final 10 minutes. Carson-Newman beat LRU 1-0 last season and their series is now 19-16-2 in favor of the Eagles.